Ever since I was about eight years old, I knew I wanted to be a teacher. I would make my own lesson plans for my imaginary class with my mom's old homeschool curriculum! As I grew up, my passion for children grew and grew. I babysat, worked in Sunday School, and was always holding or taking care of kids. A year after I finished high school I went on my first missions trip to Bogota, Colombia, and that's when everything started to click for me. That trip opened my eyes to the world around me, as we interacted with and taught the Colombian children we were working with. My heart grew for the children of the world. And it grew even more as I went on my second missions trip to Togo, West Africa, about three years later. I knew that I would one day teach around the world. Well, that day is coming! Sooner than I could ever expect! The past two weeks have been a whirlwind of an in-depth application and essays, emails, and a Skype interview. All the work paid off, as I was invited to teach at Hope International School in Moshi, Tanzania! I am so very excited for this new page that is turning. The crazy part is that I am leaving on August 20th for a ten-month teaching school year in Moshi! It will be a very challenging and adventurous endeavor, but I know it'll be rewarding. So, basically, I am going there to teach, in a volunteer position. The organization I'm with pays for all of my basic living expenses: my plane tickets there and back, my visa, a monthly food stipend for myself and the other single women teachers I'll be living with, a house for me and the other women teachers to live in that is fully furnished, transportation to and from school, filtered water, etc. So, while living in this amazing country, I'll be teaching at Hope! I'm not sure which grade I'm teaching yet, but it will be very similar to teaching in America. The heads of the school are from the U.S., and went over to start the organization called Global Effect in 2008. The school is a Christian school where we will teach the regular subjects, as well as encourage the students' relationships with Christ. The classroom sizes are a bit smaller than those in the US, around 12 students. 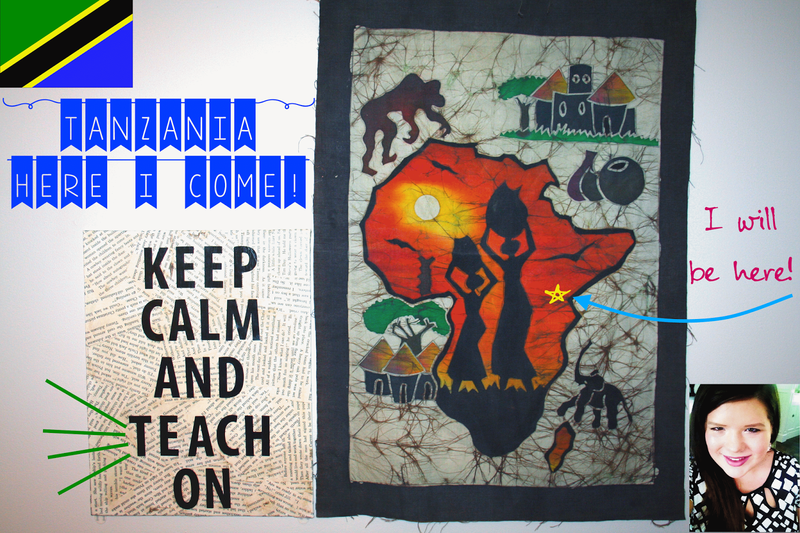 It will be my first year teaching, and I couldn't be more excited to spend it in Tanzania! This will be the longest period of time I will have been overseas, and it'll be difficult at times, but I know it'll be so worth it. I am trying to prepare and get myself ready, though packing for a whole year will be odd! I am GIDDY about this whole new adventure, and I'm excited to see where this will take me! The city of Moshi is about 190,000 people, and it is right on the border, near Kenya and Mount Kilimanjaro! It's on the safer side, which is good. I am also excited for the expeditions we will go on, and the aspects of living in a different country. My heart is SO happy! God is so good, and He has just been guiding me this whole journey so far. I feel this is the path He is leading me in, and it feels so amazing! This past Sunday, as I was (not so) patiently awaiting the email, we were singing at church, "Have Your Way!" and I truly felt that if I were to get this job, it was the Lord's plan. So, I hope you'll come along on this journey with me! My blog will be getting back to my teaching roots, as well as my love of traveling! I am trying to get a few posts scheduled for the interim, as I probably won't have wifi for a few days in between, and of course starting the school year! We have our teacher training on the 25th, and students come September 1st! - Pray for me as I begin life in the city of Moshi - smooth transitions, good relationships with my roommates, etc. - Pray for peace as I leave all I know. I can't wait for this adventure, and am so excited for what is to come! Bare with me as I make this transition. It'll definitely be life-changing! Here is something really cool that I realized after I got the job. I haven't decorated my bedroom much, as it's just been a transition time for me. But the two things I did put up in my room are these two wall hangings. It's amazing how God gives us little glimmers of His goodness through the smallest things! Also, make sure you're following me on social media, as I will be updating on the way! Tanzania, here I come!! !